He expressed appreciation for the opportunity to visit Carmichael HART. He commented on action by the county supervisors on March 21 on proposals to serve the homeless with Housing Authority resources, performance partnership pilots for disconnected youth, grants of housing choice vouchers, and arrangements for an additional veterans’ vouchers. — Scott Young said HART has a common purpose with the Board of Supervisors with a special concern to make sure that county resources reach Carmichael. — Comments were positive about the prototype site’s putting a face on homelessness with personal stories; its usefulness mainly as a community engagement platform by detailing the specific needs of individuals and projects; the possible development of a database for such people with some background showing their connection to Carmichael (schools attended, etc.). — Individual sponsorships of needy individuals are problematic (privacy issues), although an interactive component might be useful (“The stories are great. Want to help? Contact Carmichael HART.”). — Carmichael HART’s website can be linked to those of other HARTs, all with common features but distinctive differences. 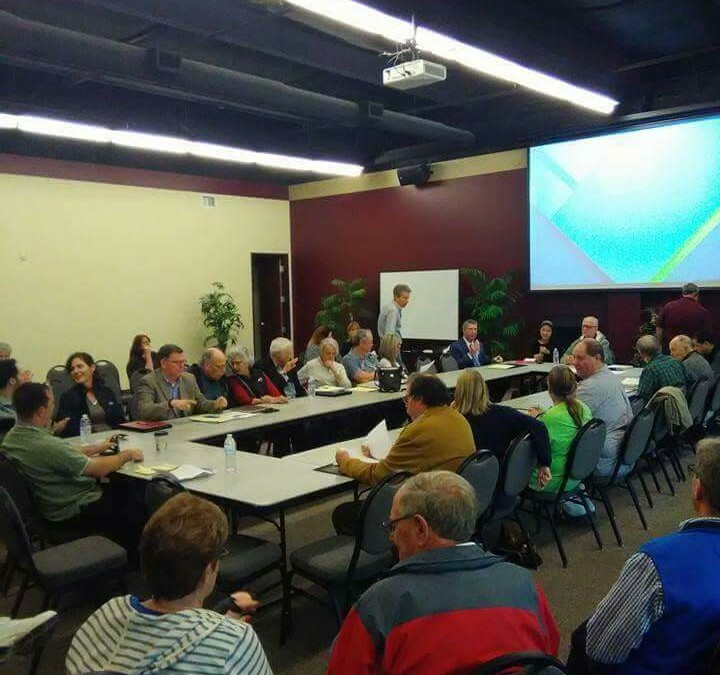 — Lehman, an experienced website developer, said of his helpful volunteer work: “It’s a prototype that could be adapted as a community engagement platform for Carmichael HART.” He said it would be easy to insert context, information about meetings, etc. Citrus Heights Winter Sanctuary: Deacon Fred Green of Christ Community Church described the seven-week program as “a labor of love” which successfully involved Carmichael churches that pitched in to help Citrus Heights HART. — Each site had its own challenges, with hundreds of volunteers pitching in. — The rationale is to continue relationships, Fred said. — Some sanctuary guests are no longer homeless, including a man and mother who are off the street. They have housing and transportation thanks to generous HART volunteers, and a promising new job. Citrus Heights Veterans Stand Down: Deacon Larry Niekamp of St. John the Evangelist Church distributed flyers about an annual one-day event for all veterans at Holy Family Church in Citrus Heights (their second year), scheduled for Tuesday, April 18. — See the website: http://www.citrusheightshart.org/events/ to sign up as a volunteer. Winter Sanctuary Intake Center at Carmichael Presbyterian Church: Barbara Farley said operating the center for the Greater Sacramento Winter Sanctuary was “a valuable experience going into the new year for Carmichael HART.” She expressed appreciation for good support from nonprofit staff people, Carmichael HART volunteers and Scott Young of ATLAS, among others. Carmichael HART Bank Account/Brochure: Scott Young said Carmichael HART can receive donations (checks written to Carmichael HART) for its recently established account. He said St. John the Evangelist Church made a generous contribution. Additionally, he said that a prototype of a Carmichael HART brochure is in the works and should be ready for feedback at the April meeting. COMMITTEE REPORTS: Scott Young said all committees are open to all HART attendees. 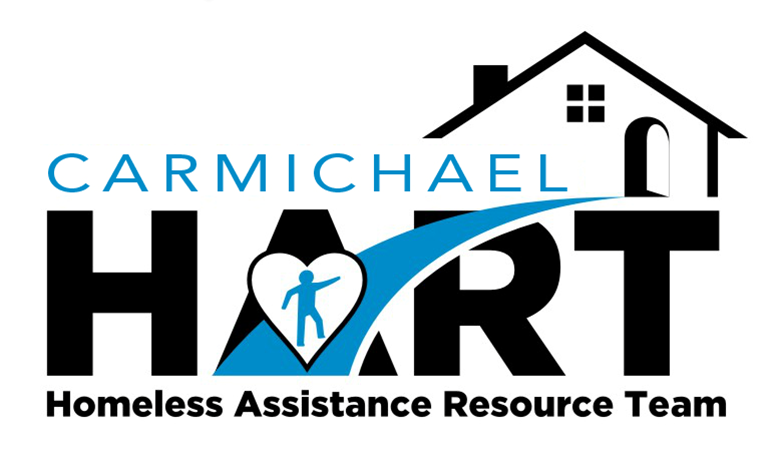 — The Sacramento Association of Realtors is open to HART-related grant proposals. — There’s a need to post HART success stories on the website. — Sacramento Self Help Housing is developing a plan to present to landlords. — A Carmichael HART member has offered use of a building that could be the first shared housing venture (each resident would pay roughly $450 per month). — Carmichael HART members will find “word of mouth” the best opportunity for finding shared housing opportunities. — Ben Tiner, a major Carmichael realtor, has expressed willingness to place an article about homeless housing in his newsletter to 1,200 landlords.